Many different specialists treat conditions that are neurological in origin. 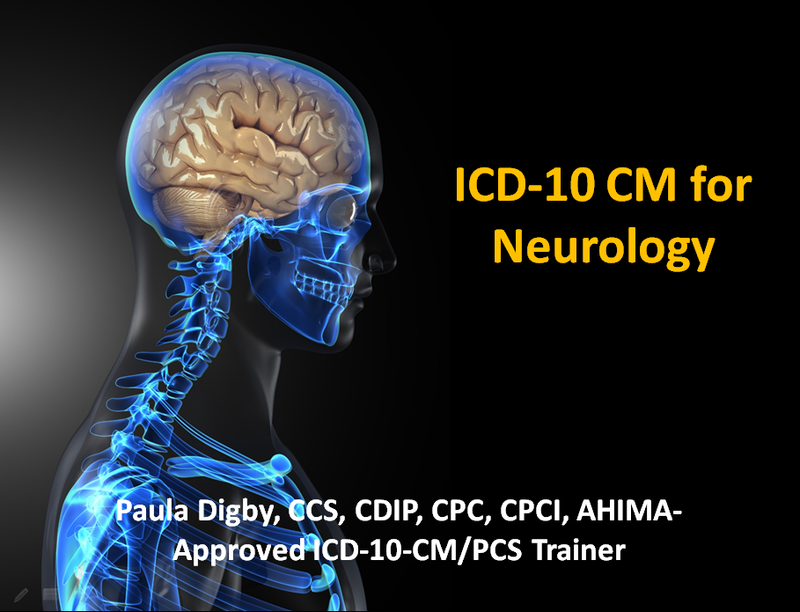 In what specific ways will reporting of these conditions evolve as ICD-10-CM becomes the norm? Some aspects will be familiar to seasoned coders. What simple changes can we undertake today to facilitate a simpler transition to the new code set? Listen to this session as Paula Digby describes the changes we look forward to in reporting these diagnoses.